Neutrogena is one of the reputable skin care brands that offer a ton of products for skin care and treatment. As aging becomes a common dilemma among women, Neutrogena has worked on an immense array of anti-aging products that help diminish the signs of aging such as fine lines, crow’s feet, wrinkles, and dark circles. Sometimes, you do have to cover those imperfections up and hide them with a dash of a cream or concealer. But if you’re struggling to fight off these inevitable effects of aging, you might need more than just a cream or a moisturizer. To resolve this common skin concern, Neutrogena came up with a tinted moisturizer that can even tone, conceal and reduce the fine lines, and unveil the skin’s natural and youthful glow: Neutrogena Healthy Skin Anti-aging Perfector SPF 20 . The Neutrogena Healthy Skin Anti-aging Perfector lines up along the anti-aging daily moisturizers that deliver light and sheer coverage while protecting the skin from the harsh effects of the sun. This tinted moisturizer also targets the signs of aging and combat them with its potent anti-aging ingredients. Neutrogena Healthy Skin Anti-aging Perfector carry out numerous benefits that unleash healthier and more youthful skin. If you’re decided to take this tinted moisturizer home and try it out on your skin, we have delved into the fundamental details and ingredients to help you find out if it suits your skin. Here is the ultimate breakdown. 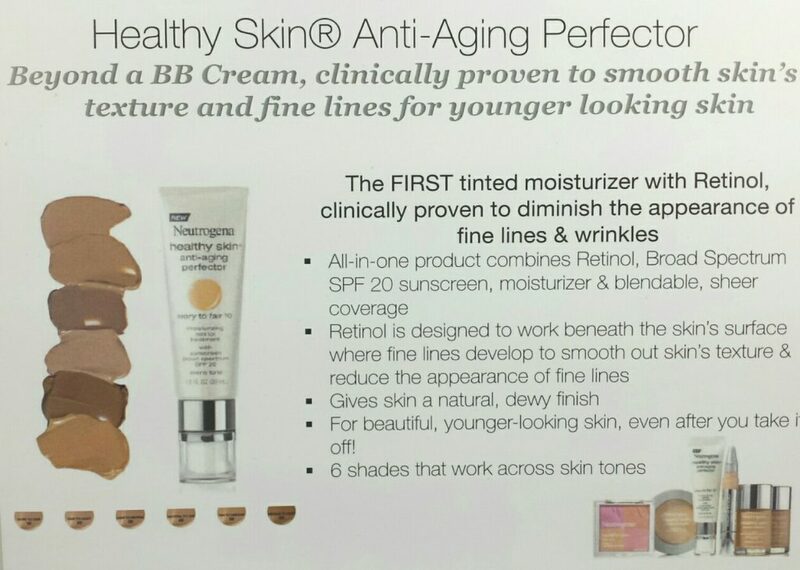 Neutrogena Healthy Skin Anti-aging Perfector is a tinted moisturizer with sheer and light coverage. It is formulated with anti-aging properties that help diminish the signs of aging. Its light and sheer coverage conceal the visible lines on your face to give you a more young-looking and healthier skin. We have tried just a light dab on the face and it does not get stuck into the lines. It smoothes the skin’s texture and tones out the skin for an even shade. Truly, this perfector blends well with skin’s natural color and corrects uneven tones. As it battles the effects of aging, the SPF 20 keeps you protected from the harsh rays of the sun. As you know, these UVB and UVA rays can damage the skin which can be contributing factors of aging. That’s why when you are outdoors, putting on a bit of this moisturizer will keep you hydrated and protected at the same time. It does its job well as a moisturizer. Without the muggy feeling, it hydrates the skin, especially under the dry and hot weather. Plus, it is waterproof! The key ingredients are retinol, octinoxate, and octisalate. 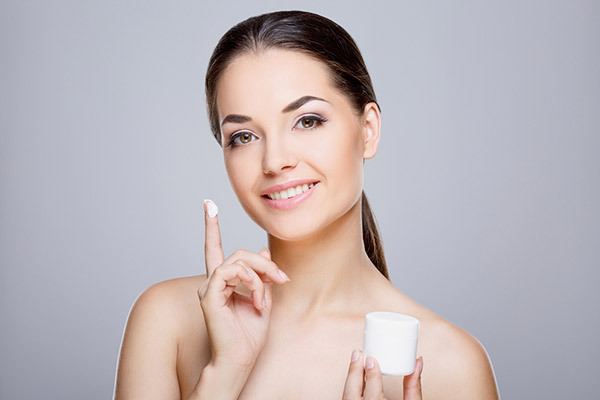 Retinol is a very common and popular ingredient in many anti-aging products. As it is the purest form of Vitamin A, it encourages the skin to produce more skin cells and helps keep the skin firm and healthy. Octinoxate and Octisalate, on the other hand, are responsible for the sunscreen protection. As it is formulated with SPF 20, it can provide the protection your skin needs when you’re under the sun’s heat. We have actually had our hands on to this tinted moisturizer and we have noticed its smooth and lightweight touch. While other moisturizers do fee l a bit greasy, this one isn’t. When you put a pea size, it goes on the skin well. It spreads out evenly and it feels light. A little goes a long way. You won’t have to use a lot to get the coverage you need. We have tried its excellent coverage without getting way too over the skin’s natural tone. It covers up the visible aging signs, such as fine lines. It is smooth on the skin and definitely light to wear. It is long-lasting, too! It is applicable for women of all skin types. As it contains vitamins and antioxidants, it will give your skin a gentle touch without causing acne breakouts. It is inevitably a perfect anti-aging skin moisturizers for those women who do not prefer heavy foundations but rather keep it au naturel with a light coverage. Beach goers, outdoor adventurers and those who frolicked on the sand under the sun’s heat, this one’s definitely for you. If you are a woman who is struggling with the signs of aging, I bet this Neutrogena tinted moisturizer would be a perfect match for your skin. We truly adore the Neutrogena Healthy Skin Anti-aging Perfector with SPF 20 because it targets skin issues all at once. With just a dash on the skin, you can battle aging effectively, keep yourself protected from the harmful sun rays, hydrate the skin, conceal imperfections, and bring out a healthier and much smoother skin while keeping up with a youthful glow. As we have tried and tested, compared to the moisturizers out on the market, we do find Neutrogena Healthy Skin Anti-aging Perfector a great anti-aging contender. It offers a ton of benefits that enhance the skin to become young-looking and healthy. It is indeed worth a try.